Denn USA Metal Forming, Colorado Springs, CO, will introduce its high-performance line of eSpin CNC metal-spinning machines. Visit the booth to watch a model eSpin-100 CNC run through its paces. 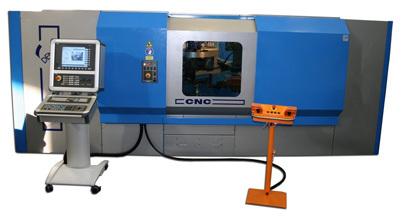 The machine features electric tailstock positioning, automatic safety door, six-tool changer, blank-centering unit, blank backup support, part ejector, automatic blank-lubrication system, Denn's CAD/CAM software, remote diagnostic software, preventive-maintenance software and more.